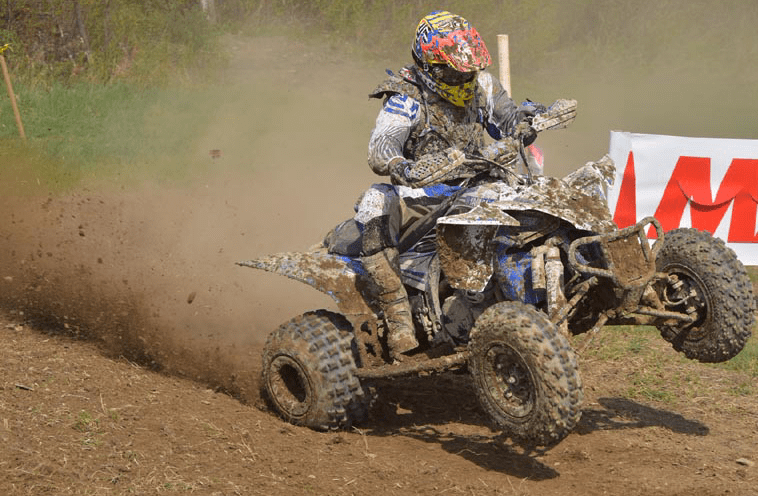 Ontario, California, May 13, 2015 – The ITP tires off-road racing team competed at the maiden Tomahawk Grand National Cross Country (GNCC) in Odessa, N.Y., compiling seven class wins, the afternoon session’s Top Amateur Racer award and five additional podiums. ITP racers competed in three different sessions at the Tomahawk GNCC. Angel Knox finished fourth overall and won the WXC (Women’s) class aboard her Honda 450R outfitted with ITP Holeshot GNCC tires. It was her third win of the year and second straight podium. She’s currently fourth in the class standings. GNCC veteran and defending Super Senior (45+) champion Dave Simmons finished a few spots behind Knox, taking the eighth spot overall in the 10 a.m. session and another victory in his class. 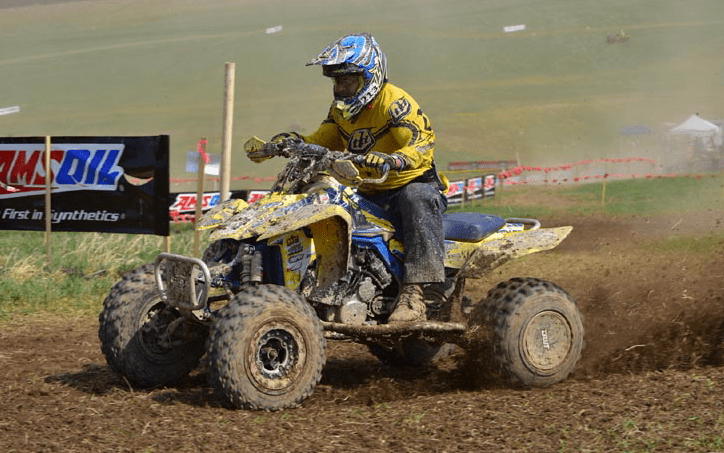 Simmons has now won all six Super Senior class events this season and nine consecutive races dating back to 2014 while using ITP Holeshot GNCC tires on his Yamaha ATV. A third-straight victory by Masters (50+) class reigning champion Kenny Rich Sr., has pushed him into the points lead after six rounds of racing. The Suzuki racer got off to a slow start, but has heated up the last four rounds, notching four podiums. Cameron Abee, another Yamaha rider who runs ITP tires, also tasted victory in New York, posting the Schoolboy Jr. (13-15) class win. Fellow Schoolboy racer Tanner Talbott joined Abee on the class podium, taking third place. Both racers have two wins this year, but Talbott currently holds a 14-point advantage in the class point race. The afternoon session also saw ITP racers do very well, as team riders earned five podiums. Westley Wolfe continued his recent string of wins in the College A (16-21) class, earning his third straight victory using ITP tires on his No. 741 Suzuki. 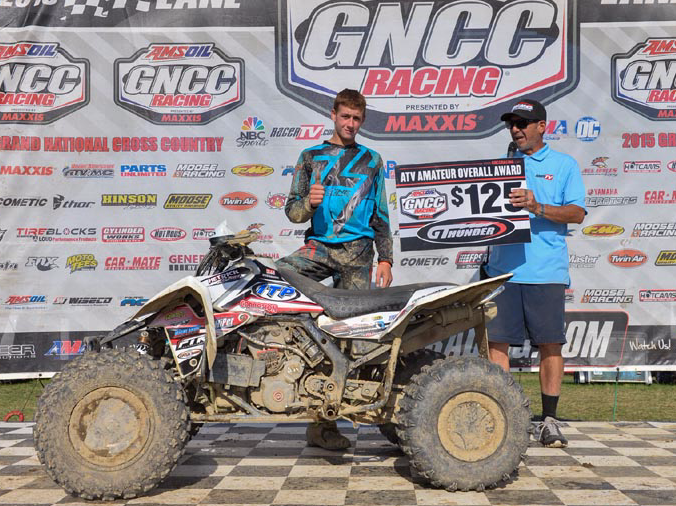 Wolfe also scored the GT Thunder ATV Amateur Overall Award using his ITP Holeshot GNCC / ITP QuadCross XC tire combination. Mark Batson (Media All-Stars / ITP) won the Senior A/B (38+) on his Yamaha dressed in ITP tires. It was Batson’s third win of the year and fourth straight podium. College A (16-21) racers Steven Covert (No. 701 Yamaha) and class competitor Kristian Meyer (No. 48 Honda), each trimmed with ITP tires, finished second and third, respectively, in their class. Brayden Schick also tallied a College class podium, earning second-place in the College B (16-21) ranks on his Yamaha. Junior A (22+) class racer Justin Paul earned fifth at round six. In the youth session, ITP racers posted one win (Damien Hawkins, 90 Limited 8-12), a second (Parker Henderson, 90 8-12) and two fourth-place runs (Jordan Digby, 125 Sr. 13-15; Marti Lantz, Girls 8-15). 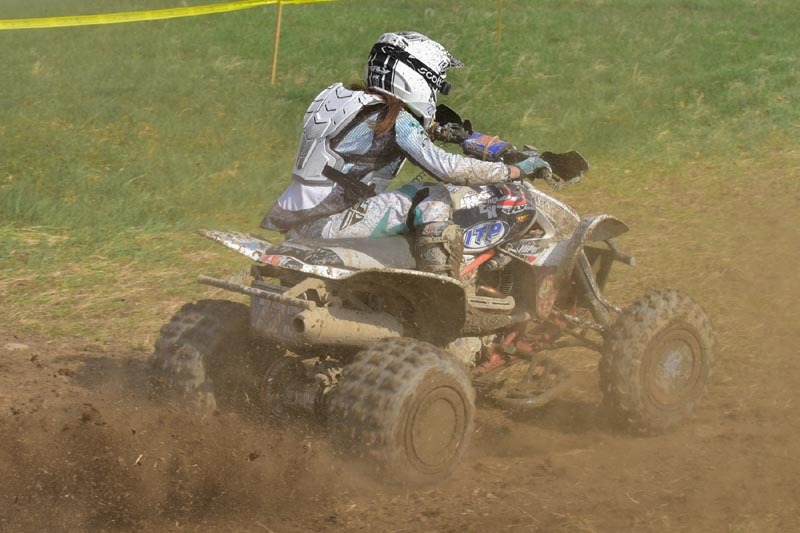 The next GNCC race, the Rocky Mountain ATV/MC Mountaineer Run, will feature both ATVs (round seven) and UTVs (round three) and be held May 23-24 in Masontown, W.Va. For more information on the AMSOIL GNCC series, visit www.gnccracing.com.